Home > Blog > Recommended Reads – June. 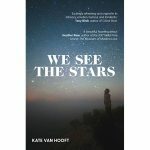 Australian Recent Release– We See The Stars – Kate Van Hooft. We See The Stars tells the story of Simon, an eleven year old boy who, for reasons even he cannot understand, hasn’t spoken for years. His only friends are his brother Davey and Superman, but after sharing his Vita-Wheats with Cassie, the scary girl in his class, a new friendship forms. And then there is his teacher, Mrs. Hilcombe, who becomes another friend. When Mrs. Hilcombe goes missing only Simon knows where he is, but he promised not to tell, and promises must never be broken. If you like stories that steal your heart, change it, and return it to you anew, this haunting, tender novel is for you. Tasmanian Recent Release Get Up Mum by Justin Hazelwood. The year is 1992. Twelve year old Justin lives with his mum in Burnie. She is a wonderful Mum when she is well. Perfect, Justin thinks. But when she is sick she cries uncontrollably and won’t get out of bed. Justin is just about to start high school, and is excited but also a bit nervous. 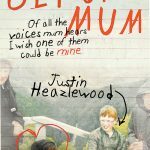 Told with humour and hope, Get Up Mum is a powerful memoir about growing up and the nature of love and family. 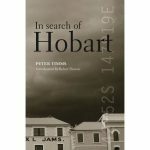 In Search of Hobart by Peter Timms, introduction by Robert Dessaix. Immerse yourself in this evocative and entertaining journey through Hobart with Peter Timms as he takes you on a tour of this historic city. Timms discusses how Hobart has developed over the past 200 years. He illustrates how Hobart’s brutal past has played a role in shaping its haunting and unique atmosphere, completely unique to any other city in Australia. Timms has interviewed both residents and tourists, to gain a broad perspective on everything Hobart, from its architectural and planning history, cultural life, economy, and, of course, its people, to explore why and how Hobart is changing in the ways it is and what its future might hold. 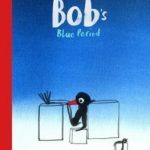 Bob’s Blue Period by Marion Deuchars, bestselling author of Bob the Artist. Bob is a bird who loves to paint pictures with his best friend Bat. When Bat goes away, Bob is sad, and everything he paints is blue. Will his friends be able to helo Bob find his colours again? This funny and beautifully illustrated picture book shows kids that it’s okay to feel sad sometimes, and expressing their emotions to their friends and family can make them feel much better.